12 million Americans were victimized by ID theft last year – to keep your holiday season merry, make sure you do not become one of this year’s statistics. 1.Proceed with caution when shopping online. Make sure you are buying products or services from a reputable, familiar company with a secure network. And never buy anything online from a website that does not have SSL (secure sockets layer) encryption installed—at the very least. (You will know if the site has SSL because the URL for the site will start with HTTPS:// instead of just HTTP://). 2.Monitor your accounts. 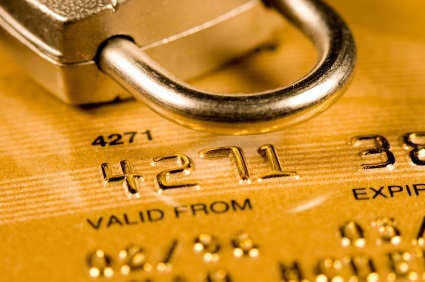 Do not rely on your credit card company, or bank, to alert you of suspicious activity. Monitor your bank and credit card statements to make sure all transactions are accurate. If you suspect a problem, contact your credit card company or bank immediately. 3.Be cautious with personal information. Whether on the phone, through the mail or over the Internet, do not divulge sensitive information or your social security number unless you initiated the contact, are familiar with the person or company and are confident that they have a secure line. Make sure that your web security, anti virus and malware detection programs are updated and that your firewall is on. Many experts suggest the “belt and suspenders” approach of having more than one program as a backup. Make sure that your browsers are up to date. Watch out for email phishing offers, they are getting pretty good at creating authentic-looking emails spoofs of mailings from big name entities. Don’t click the email link. If you get an offer from your bank or a big name store, don’t click the link, go directly to the bank or type the website name in your browser. Public Wi-Fi is not secure so avoid doing banking and transactions that would expose your credit cards, passwords, or personal info. Before shopping, it’s a good time to update your passwords. Create unique passwords for each site – see resources below. If it sounds too good to be true, it probably is. Watch out for “free” gift offers and contests from unknown sites – don’t give away any personal information or credit card numbers to anyone you don’t know.